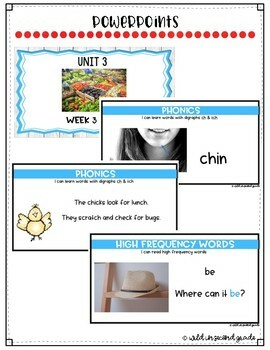 This is a zip file with an Editable Powerpoint for each day of Unit 3 Week 3. This product also includes supplemental grammar and writing worksheets. Since the slides are editable some of the formatting might be off with the fonts. I used AGFonts that can be purchased on TPT in this product. The fonts used are: AG Like a Boss, AG Running Late is My Cardio, AG Can You Not, AG Can You Not Light, AG Can You Not Bold, and AG Sorry Not Sorry. You do not have to purchase AG Fonts to view or use this product- I just wanted to let you know! to see what it looks like. Check to see if you're able to open it, edit, and view it. 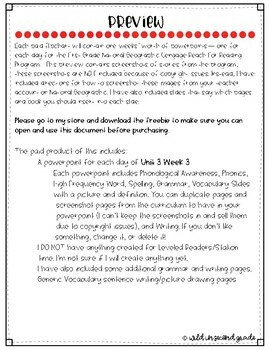 I have included directions for how to add screenshots of the stories since I can't keep them in this product due to copyright issues. 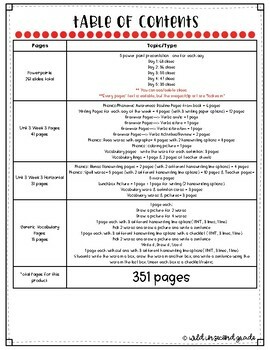 I hope this is helpful for you if your school uses the Reach for Reading Program! This is a great product to use if you also have an interactive board, I have included directions on how to set up the powerpoint to be able to "write" over it with your interactive board. I use this with my Promethean Board and love that I only need to look at my teacher manual to teach the phonics/phonemic awareness portion of each day! 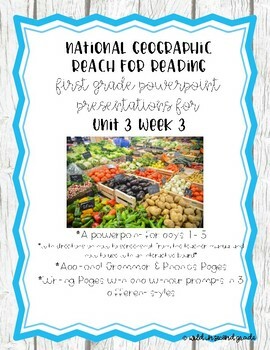 I will be creating these powerpoints for each week for all 8 units!